Here is my story and what worked for me. Please click on any of the photos to see a larger image. When I first built my plasma gantry machine, I connected my computer to the drive electronics and then to the motors of the gantry. In my case, the gantry sits outside and the computer and drive electronics are inside my air conditioned lab. I watch the plasma gantry in action through a camera. This little situation occurred when I discovered that plasma dust gets into everything….and I mean EVERYTHING. I soon moved the plasma gantry out of the garage. 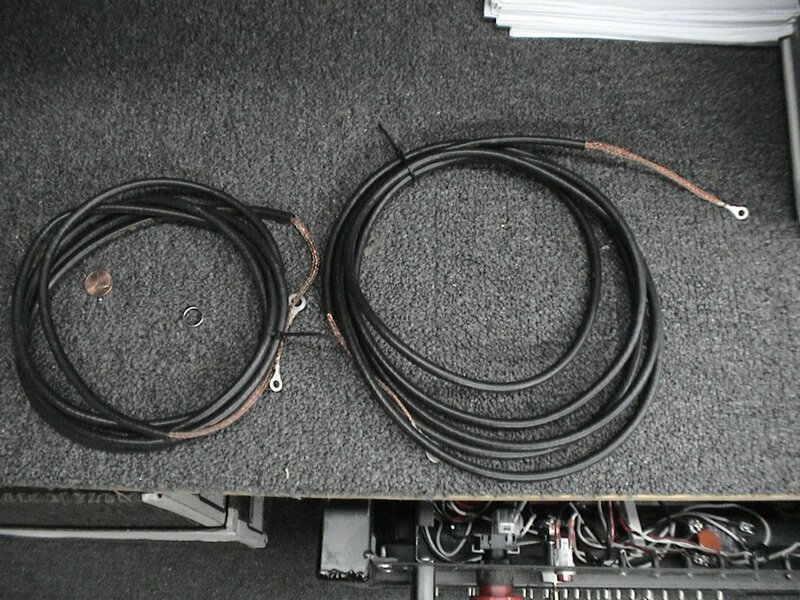 So, the cables from my drive electronics to my motors on the gantry are about 15 to 20 feet long. The cable from my computer to my drive electronics are 5 to 7 feet long. My lab also houses my amateur radio stuff and other sensitive test gear. Below are some pics. When I first started the plasma gantry up and tried to cut something, my x and y motors took off and cut all over the sheet of steel I had clamped up to cut and basically ruined the sheet. This was caused by the rf energy produced by the plasma arc making the drive electronics generate many extra pulses to the motors. I knew then that the plasma arc was feeding back into my electronics and computer. Having been a amateur radio operator (ham) for over 40 years, I'd run into this sort of problem before. My transmitter RF energy had gotten into my computer when I transmitted and made it do all sorts of strange things....none that were pleasant. So I knew where to begin. Now what I am about to cover is not rocket science, especially in the ham radio arena. These are simple fixes and will help cure RF interference most of the time. 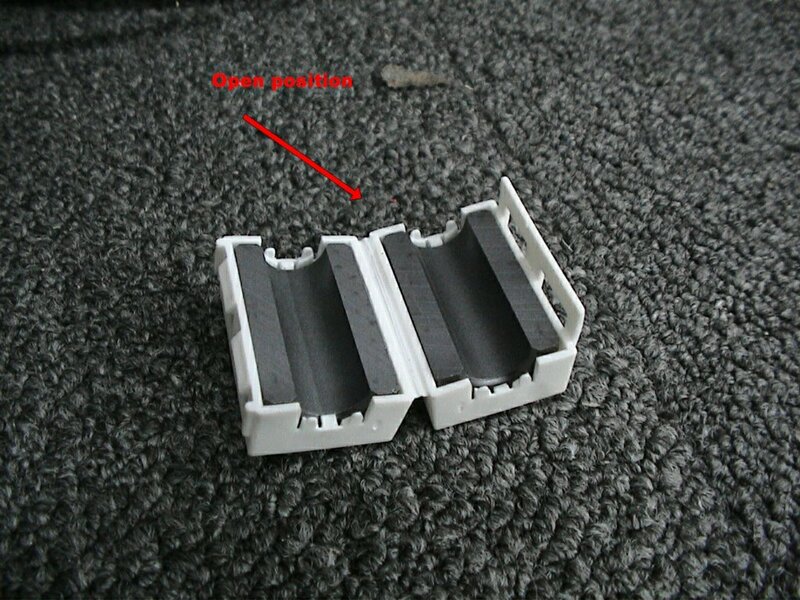 The problem is that a computer and the associated electronics for driving the stepper motors are usually shielded enough to where NORMAL outside electrical noise does not bother them. 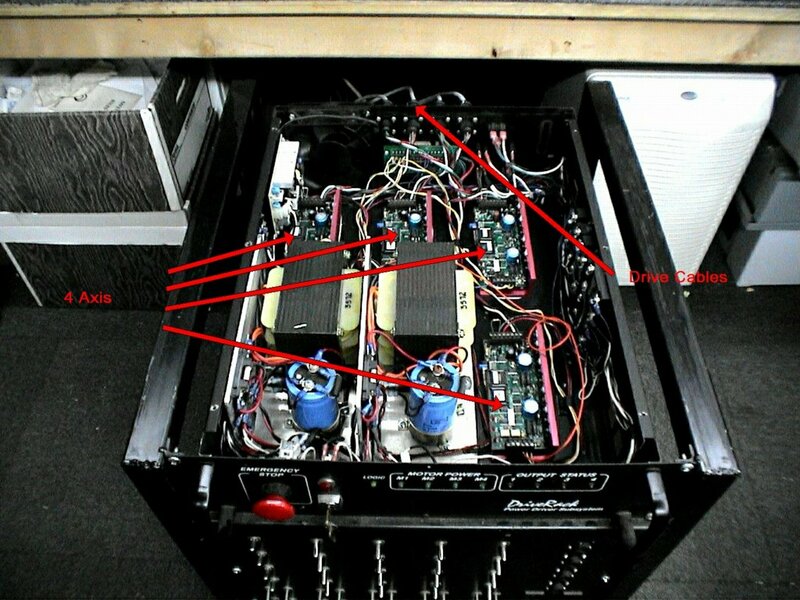 Usually they are installed in metal cases and the computer and drive controls have some RF suppression built into them. In this particular case, though, the RF interference is many times greater than what is considered normal. The Plasma cutter (as well as a TIG welder, or any electric welder for that matter) is nothing more than a "big time" RF generator or transmitter. To make matters worse (for the computer and drive electronics) the plasma and TIG machines have high frequency generators in them. This makes it many more times worse than "normal". The problem can be attacked from two sides. 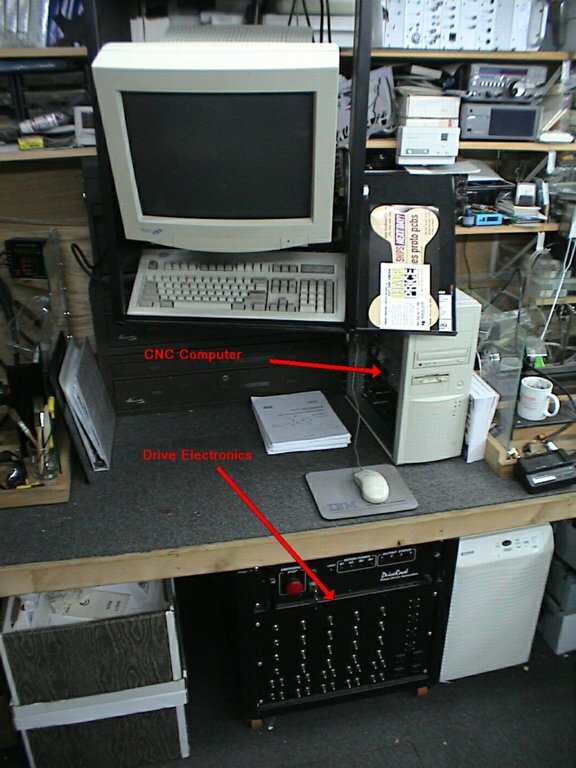 You can try to shield the source of the RF energy being transmitted from the plasma cutter or TIG welder or you can try to shield the computer and drive electronics from the RF "intrusion". We're going to try and do a little of both. When a plasma or TIG welder is in operation and the arc is running, the RF energy is transmitted through the air and there is not much else you can do to shield this short of welding and plasma cutting inside a grounded metal box. Usually this is impractical......BUT....all of the metal that that is electrically connected to the plasma cutter or TIG welder may be acting like an antenna and propagating this RF energy. This you can do something about. You may not be able to suppress the RF energy that is radiating into the air directly from the arc, but you can help suppress all of the antennas that are connected to the arc. First you get an 4' copper coated ground rod. These are cheap and can be had a Radio Shack (p/n 15-530 for $12.99). See link below. I used (and highly recommend) an 8ft copper coated rod. 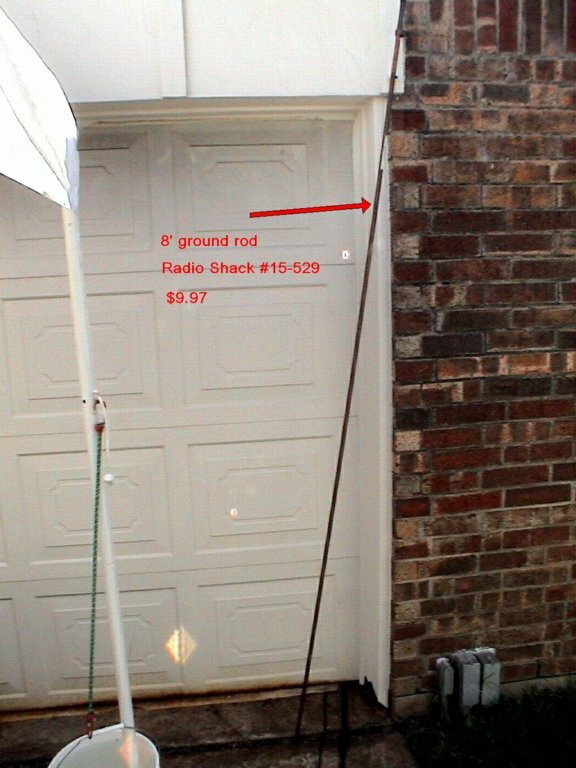 RadioShack no longer carries the 8ft ones, but Grainger carries them. 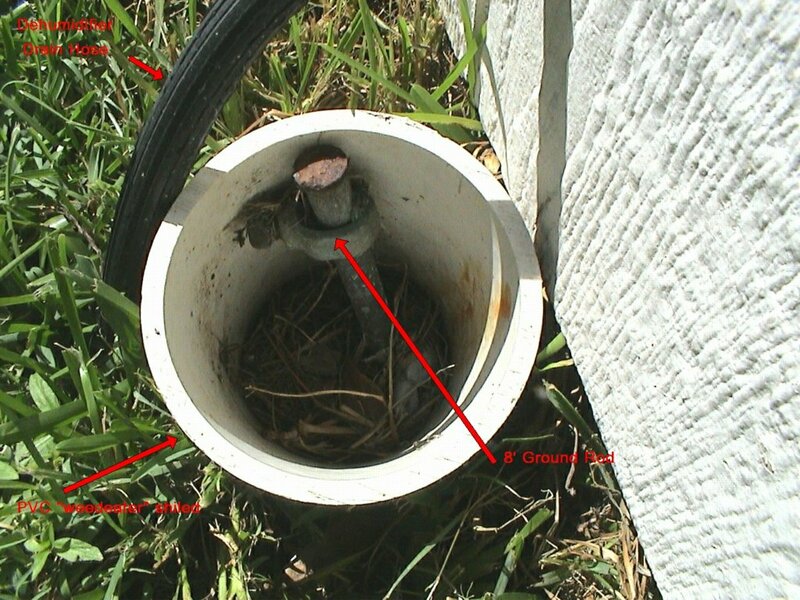 Other links that may work for 8ft ground rods. Drive that sucker into the ground (may take a while if you have real hard ground....try wetting it first and leaving it overnight). You need to sink this into the ground AS CLOSE TO YOUR EQUIPMENT AS POSSIBLE. Don't rely on cold water pipes, power line grounds and other stuff. None of them goes down deep enough to really ground the way the 8' rod does. Next, I sank a 12" piece of PVC around it so my weed eater didn't have problems cutting the grass around it (or whacking away at the ground wires). 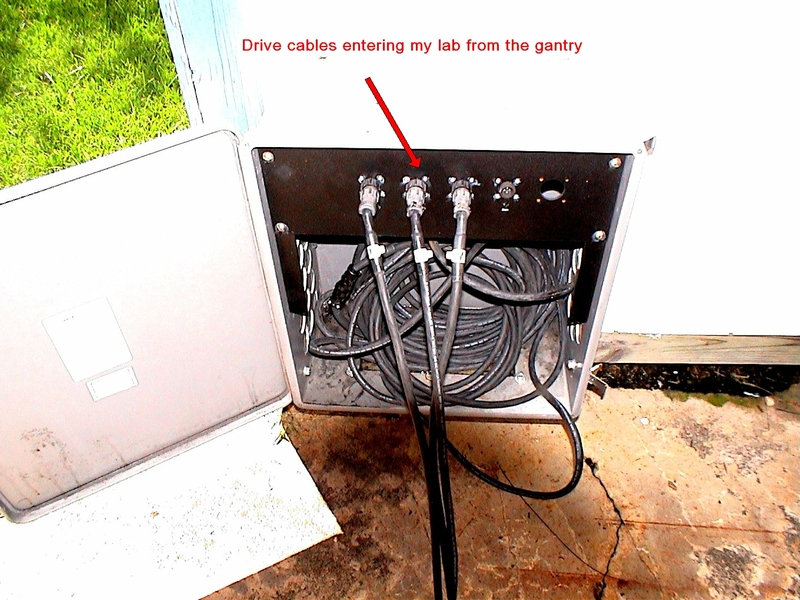 Now, from my amateur radio days, us hams have always had a bunch of coax cable laying around. 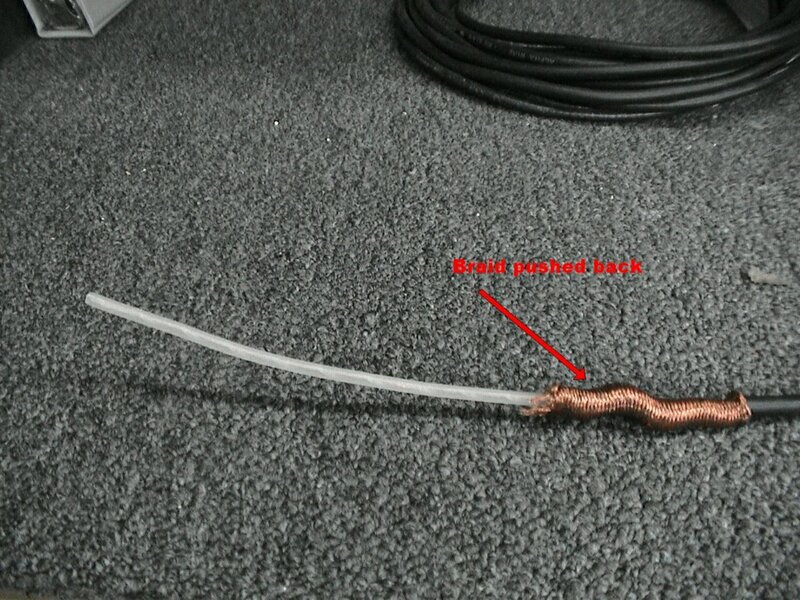 Coax cable is that stuff that connects your cable service to your TV. 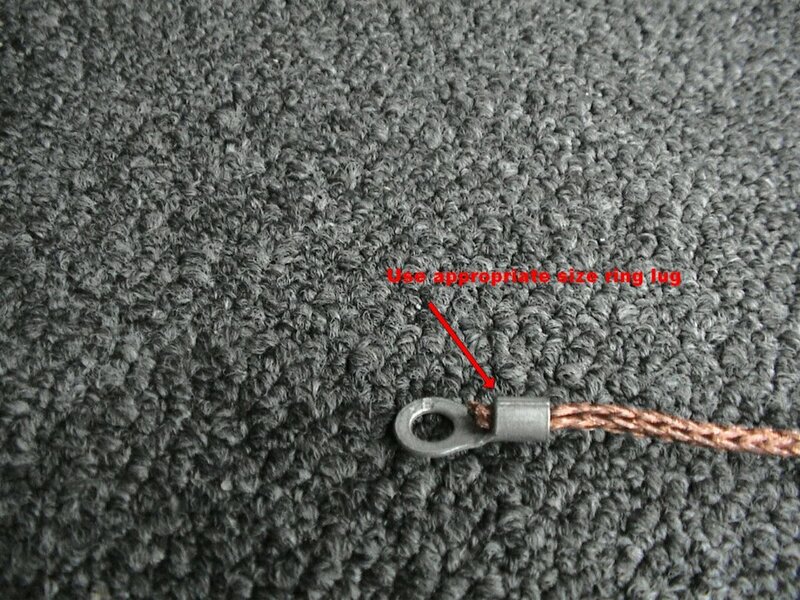 This cable contains a center single wire conductor, a plastic or foam shield around that conductor, a wire braid or mesh (electrical shield) and then a plastic outer jacket. 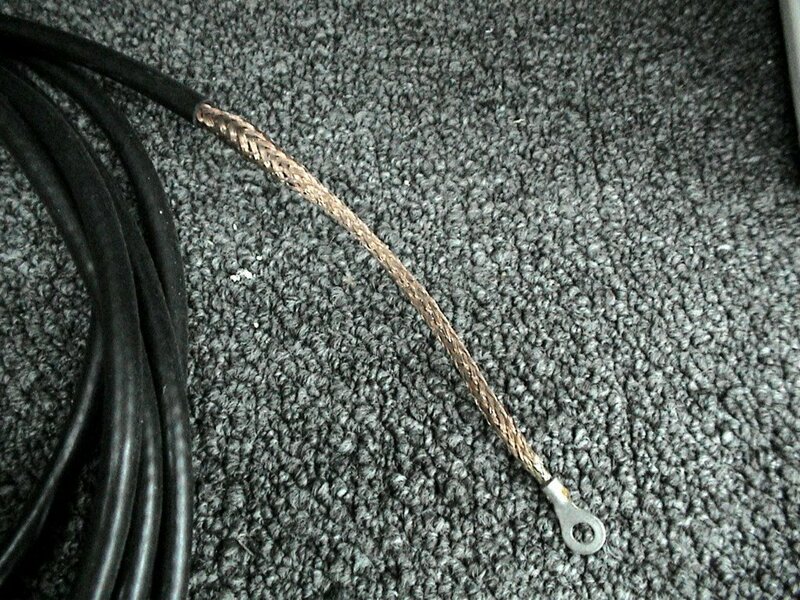 There are all kinds of coax cables and all we are interested in here is the ones that have a copper braid or shield. Stay away from the really cheap stuff that has an aluminum shield. Here is one of many places that sell it. I had some old (copper braided) cable that came from some computer rooms (old mainframe rooms) that I worked at years ago. It is flexible stuff and has good copper braid. 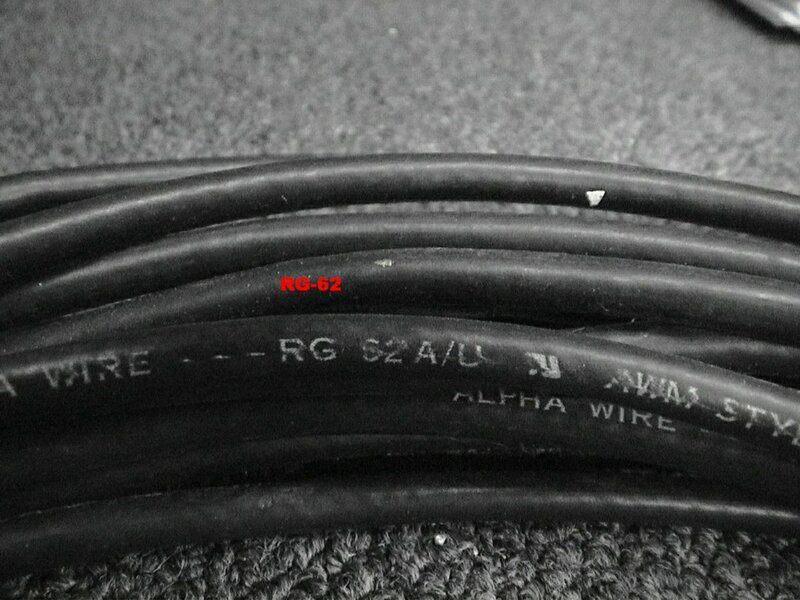 Below are pics of cables I made into grounding cables. 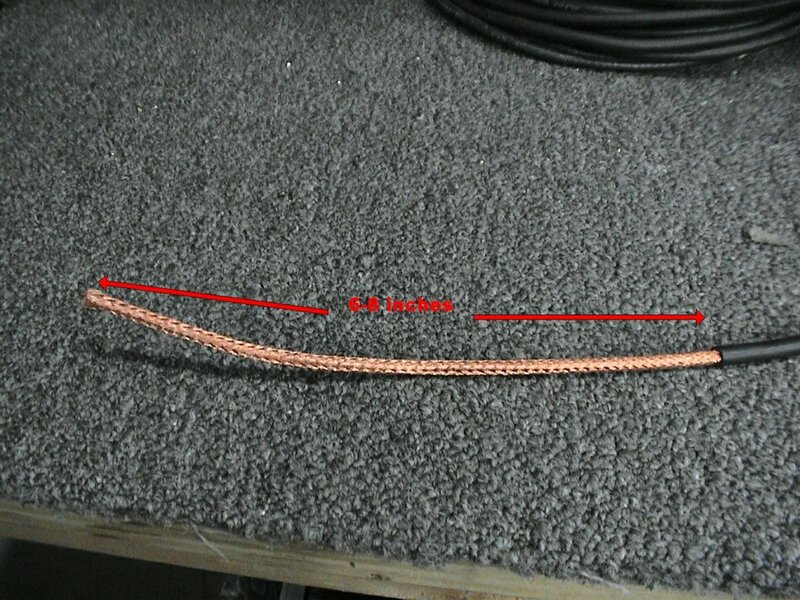 The stuff I had was RG62, but any flexible cable with copper braid will do. Once you have your cable, take the end and strip the outer plastic jacket off about 6 to 8 inches up. Be careful not to cut the copper braid inside. I use an X-acto knife and bend the cable to put a strain on the jacket then cut carefully around the perimeter. Remove this outer jacket and discard it. 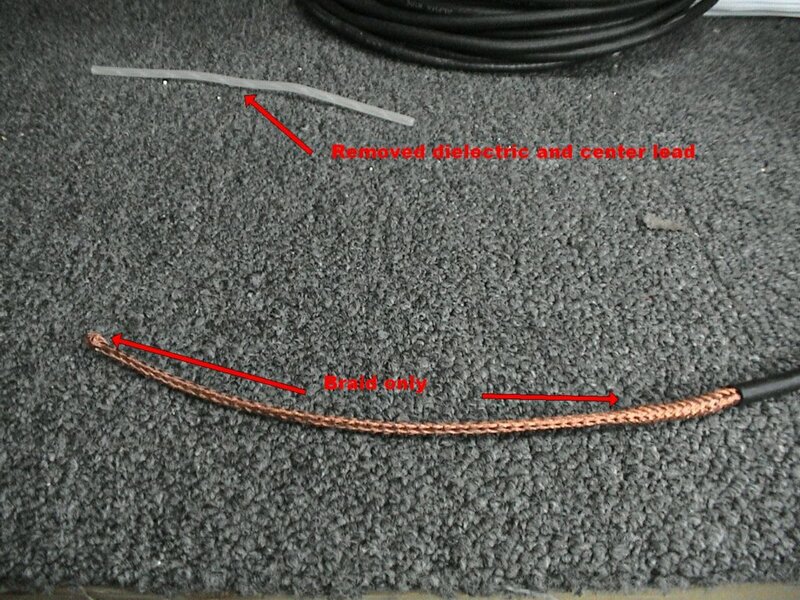 Next I "skin" back the copper braid to expose the plastic or foam dielectric and center conductor. Cut this off (discard it), leaving only the braid...then stretch it back out to its original length. 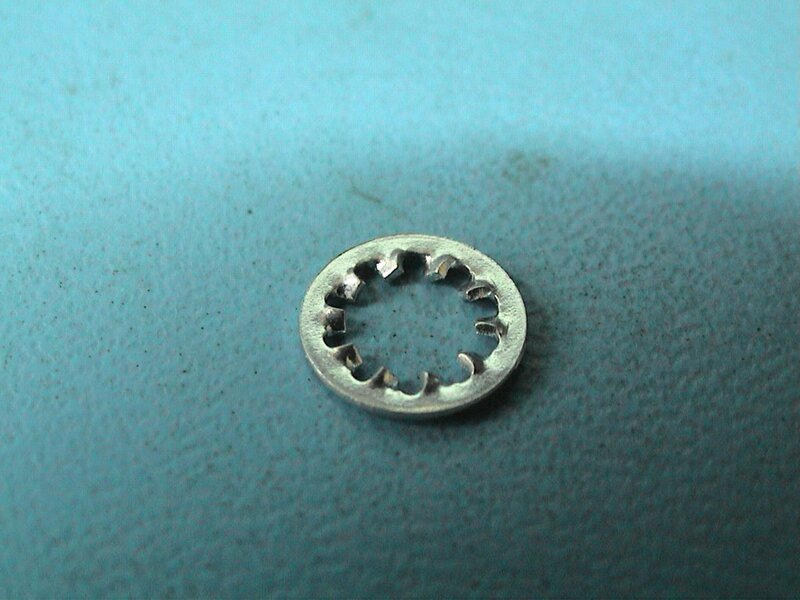 Then solder on a ring lug that is the size you need to bolt this to the "antenna" and to the ground rod. This makes a very flexible, good RF conductor. See pics below. 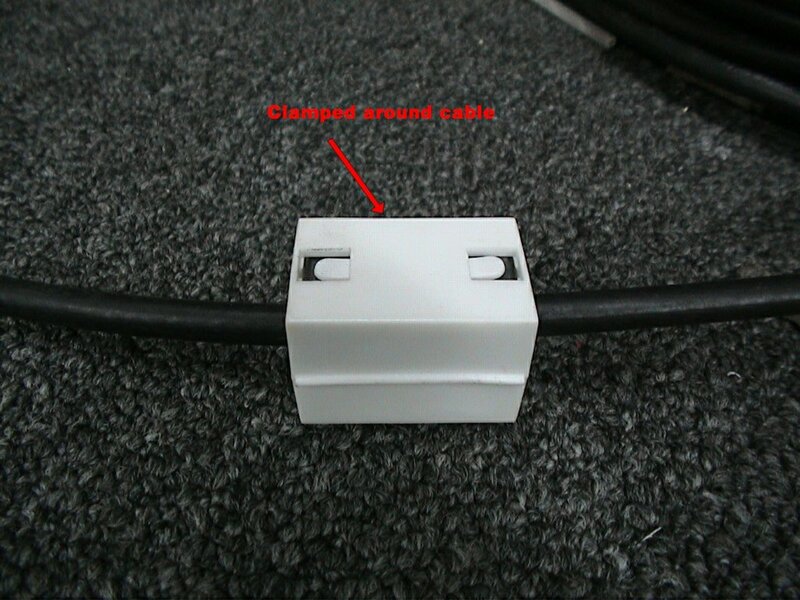 Installation of these cables would include your welder or plasma cutter, your welding table, your plasma gantry, etc. You cannot overdo this! Just like a radio/tv transmitter has an antenna to transmit and radio/tv receivers have antennas to receive, we are grounding or shorting the "transmitter antennas" that are connected to our plasma and welder. Next we will be grounding or shorting our our "receiver antennas". There are two things I use to stop the RF energy from getting into my computer and drive electronics. The first, as you can guess, is the grounding cables. I have them going from my computer to the ground rod and from the drive electronics to the ground rod. See pics below. You can also find these at surplus houses. They are usually no more than about $2.00 each. As of 5/7/2009, All Electronics has several from $1 up, but they are surplus and not guaranteed to be there when you need them. Buy a few extra to keep on hand. 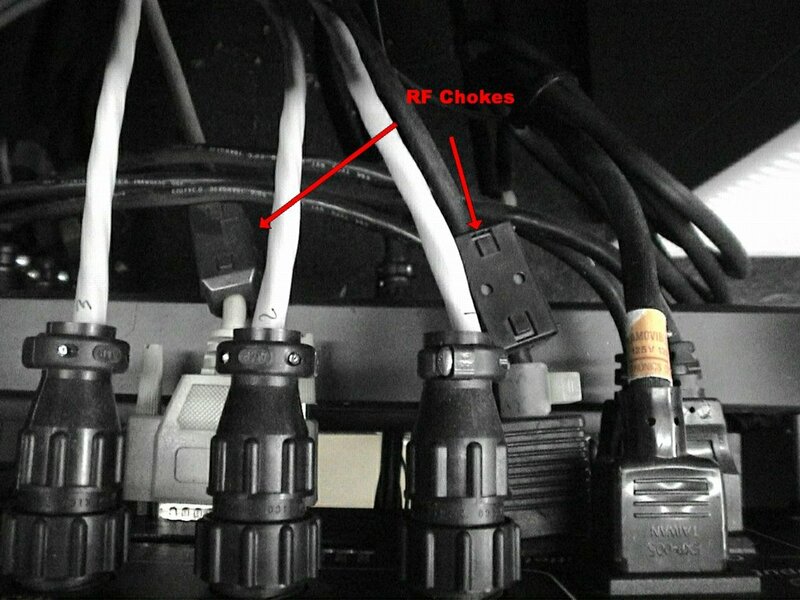 Got to link below and click on "Ferrites" on left. Anyway, I use them on every cable I can coming out of my computer and any cable going from my drive electronics to the computer. 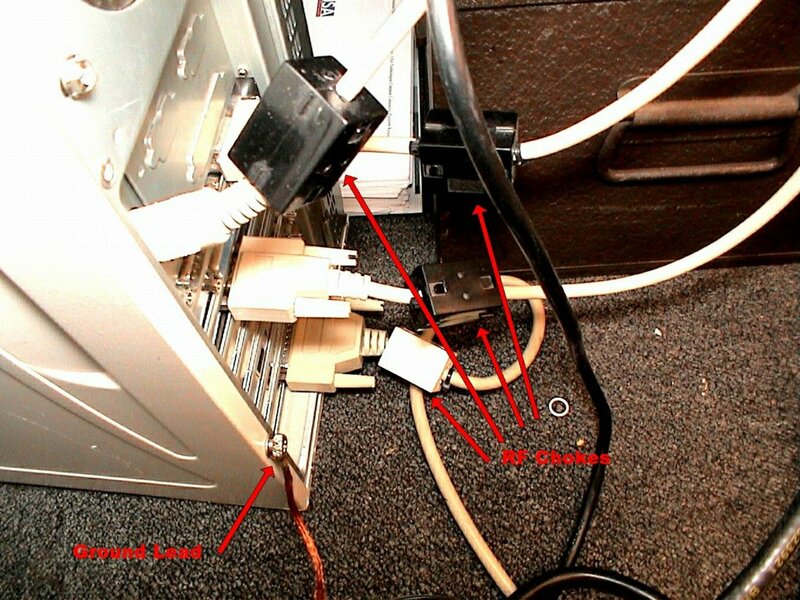 In the case of the cable running from the computer to the drive electronics (db25), I use one on each end. 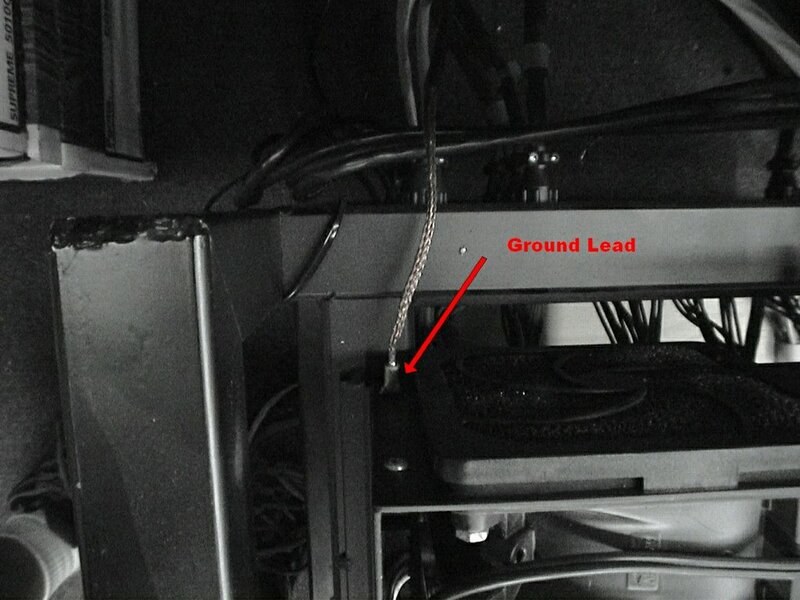 The cables going from you drive electronics to the stepper motors are not usually susceptible to RF intruders. See pics below. Once I had these clamps and ground cables installed (nearly 5 years now), I haven't had ANY problems running my plasma cutter while running my computers (I have 3 in the lab) or sensitive gear (such as oscilloscopes and test gear) or my drive electronics. 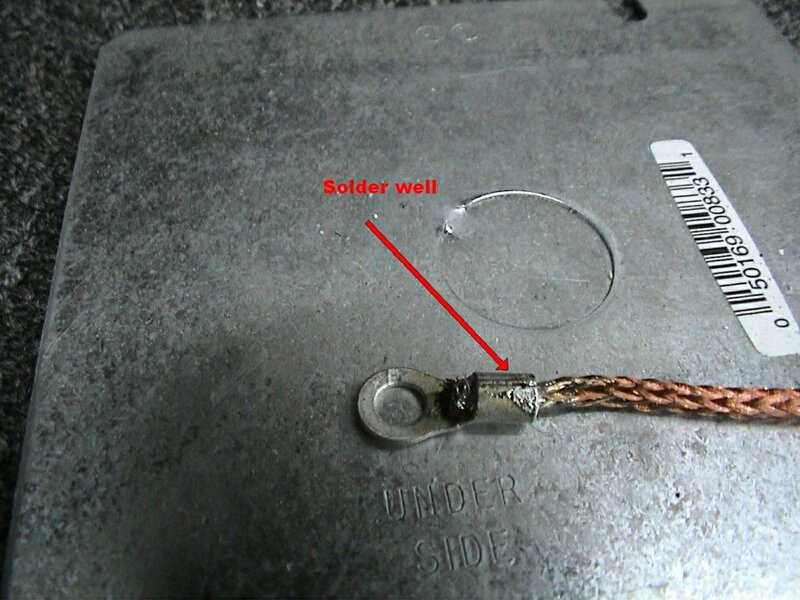 Recently, I purchased a Miller Syncrowave 250DX TIG and have noticed that it is effecting some of my equipment when it runs. 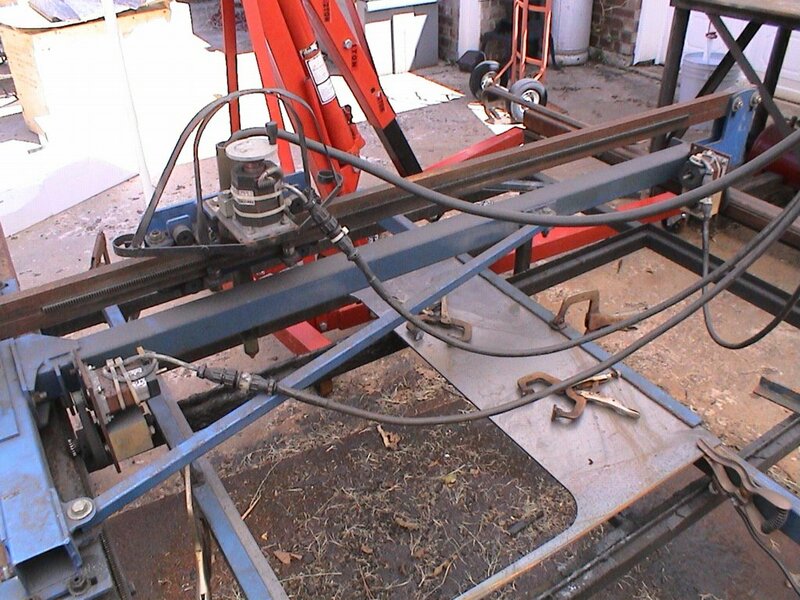 I am installing a new ground rod near the welder, running braided ground cables and using ferrite chokes where needed. I will have more pics when I am completed. If you want more info on this, there are Amateur Radio Handbooks that have been published every year since 1926. Many of the "not so new" ones are on ebay and they are often cheap. The handbooks go into more detail about shielding and grounding. If you get one, I would try and get one that is less than 20 years old. There are surely places on the web with more info and if someone will email me them, I'll post them here. if you have any corrections or web pointers that I should post. Send mail to webmaster@texasmetalcraft.com with questions or comments about this web site.